Week two of Totally Twilight is complete. Check out my posts from this week and be on the look-out for all my Twilight posts this coming week! MY Twilight Fan Fiction - Jasper! *Thanks to NetGalley - I picked this up from NetGalley awhile ago but I'm just now getting to reading it. The Twilight Saga: Breaking Dawn soundtrack!!!!! *Look for a review to be up in the next few days. I've been wanting to read The Warrior Heir for awhile, it sounds awesome! I can't wait to read your review :) Hope you enjoy everything!! I love the retro-style cover on The Girl is Murder! Enjoy all of your new stuff! ^ I agree! :) And it sounds like a great read, I'm off to check it out. Enjoy all your books! The Girl is Murder looks really good! I'm looking forward to your review. I have all the soundtracks, so I have to get this one as well. I loved the Warrior Heir and my son "B" loves Vampire Knight. Happy reading! Great haul! The Girl Is Murder sounds interesting! I haven't bought the Breaking Dawn soundtrack yet though I did listen to it on Rhapsody. I am really looking forward to the score since Carter Burwell wrote it and I liked the score for Twilight. I hope you enjoy all the books you got this week. Those are all new to me, but I hope you enjoy them all! Awesome books, Allison! The Warrior Heir looks really good. I was going to comment on the similarity between Judy Blundell's covers and The Girl is Murder, but Christina T beat me to it! Looks good, either way. And The Warrior Heir sounds exactly like my kind of high fantasy. 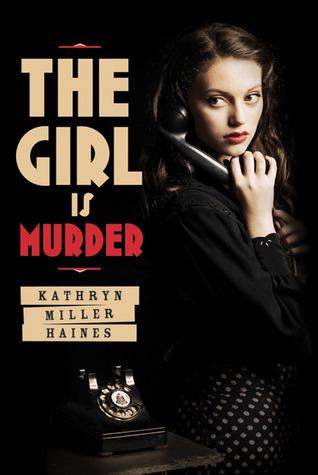 The Girl is Murder looks interesting, and I love the old style feel of the cover! These all look interesting. I like the covers for these books. The Warrior Heir isn't part of the Seven Realms series right, it's a separate series? Or are they all part of the same one? I get confused since the book covers all look similar:) I've heard good things about her books though, I can't wait for your thoughts on this one! I can't wait to read your thoughts on The Girl is Murder! Oh my gosh! The Warrior Heir looks really good! I hope you enjoy it! I really loved your Twilight posts this week. It's always fun to see what people get out of such a big, well loved franchise. I got the soundtrack too and listening to it right now! It's so good, but the Twilight soundtracks are always good! I hope that you enjoy your new books! The Warrior Heir does look interesting. I'll have to keep my eye out and hopefully learn more about it. I tried finding the Breaking Dawn soundtrack but I couldn't dind it :(, great IMM!. I have The Warrior Heir sitting on my shelf too. I need to make time to read it. Enjoy your books. I love the Twilight soundtracks, will definitely be looking out for your review of this one! I've been curious about The Warrior Heir, I'm looking forward to your review! I can't wait for the Twilight movie, even if they're never as good as the books... ~ Jen @ A Book and a Latte - My IMM post! Oh, I need to get the soundtrack!! Great books girl! Loving your twilight posts. I always buy the Twilight soundtracks but usually I wait till I've seen the movie. I am so SO excited for Breaking Dawn. But at the same time, this is the beginning of the end! Anywho, I hope you enjoy your books. Looks like you have some good stuff. You know I have the first two soundtracks and the instrumental one for the first, but I haven't gotten the third. Never heard of TGISM. Can't wait to read your thoughts, thanks for stopping by. Interesting books and music this week. Happy Reading! The Warrior Heir looks great! And I had no clue that they released soundtracks prior to the movies! Oooh! Oooh! I can't wait to pick up my copy of the Breaking Dawn Part 1 Soundtrack! They have some amazing titles on there, and the ones I've already heard I've loved! :D Amazing IMM this week, Alison! Thanks for stopping by my IMM and commenting! I totally need to get my hands of that soundtrack! Thanks for doing TT! It's been a lot of fun so far. Never heard of The Girl is Murder, but looks good. I was debating whether to read The Warrior Heir so I'm curious about that one. And the Breaking Dawn soundtrack! I love the Bruno Mars song, I'll definitely be checking out the rest! 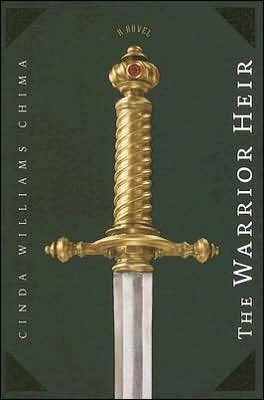 I really enjoyed Cinda Williams Chima's other book The Demon King (part of a series). Hope you enjoy your books! Thanks for visiting my blog! The Girl is Murder looks really interesting! I'll have to check it out. Enjoy your books! Ooh The Warrior Heir! It looks great, I can't wait to start it. And Vampire Knight! Curious to know how that's going, haven't really kept up with it. Great mailbox - happy reading! Ooh, I'm adding The Girl is Murder to my to-read list. According to Goodreads it's for fans of Veronica Mars and I loved, loved, loved that show. Thanks for the find! The Warrior Heir does look good. I see not just me thinks so. Hope you have a great week of reading! Great haul! I've definitely been wondering about the Breaking Dawn soundtrack.I loved the first two soundtracks in the series. I hope you enjoy all your goodies. The Warrior Heir is amazing. No one writes fantasy YA like Cinda Williams Chima! Happy Reading! Oh yeah, I need to check out the music on the newest CD! Nice mailbox! I'm not familar with these books, so hope you enjoy! Thanks for stopping by my blog. I hope you learn how to use your DSLR they are a lot of fun, I'm taking continuing ed classes at my local community college and the prices for the classes are very reasonable, you should look into it. Nice haul, Alison! It looks like you'll have some great things to read. Enjoy! I loved Vampire Knight & VK Guilty animes. I really should read the mangas so I can find out what happened after! I will be at the midnight showing for Part 1 of Breaking Dawn,I plan to read the Warrior Heir since I like the Gray Wolf Throne series. So excited for Breaking Dawn this week! You got some good books this week! The Warrior Heir looks good! I hope you enjoy reading all your new books, and thank you for stopping by my blog today! Thank you for visiting my IMM this week. Your IMM looks fantastic. Breaking Dawn here we come. Excited to see it this week. Can't wait for your reviews. Thanks for stopping by my IMM :) Some good books you have there. The Warrior Heir looks intersting, may have to add that to the wishlist. Happy reading!! The Girl is Murder and Vampire Knight look great. I've only listened to the Breaking Dawn soundtrack briefly. Looking forward to your review to see which tracks you like best. Have a great week, Alison! 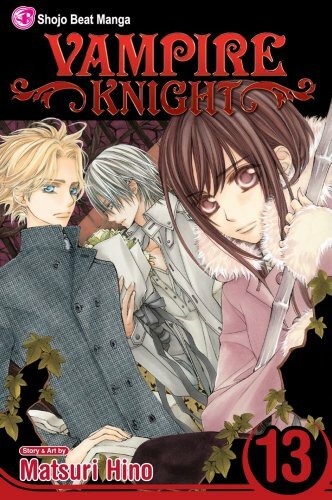 you read vampire knight?? I tried watching the anime but the ending was crazy. Liking the look of The Girl is Murder! Looks like you've had a pretty good haul this week! Hope you enjoy reading them! ALISON!!! I can't wait to see Breaking Dawn either -- this was so cool that you did this whole Twilight week LOL! :) I'm more of a fan of the books than the movies, but that doesn't mean I didn't squeal when I saw the trailer like everyone else! Awesome mailbox, Alison! You have so many awesome books -- I hope you enjoy them all! Thanks for stopping by! Nice haul! The Girl is Murder looks like an interesting read. Hope you enjoy them! Great haul! Can't wait to hear what you think of the Breaking Dawn soundtrack. The Twilight soundtracks are usually really good. I'm curious to see what you think about VK 13. I really liked it and am wondering what direction the series is going. Happy Reading! I grabbed The Warrior Heir from NetGalley, too! I'm looking forward to reading it! Thanks for stopping by my site! The Girl is Murder reminds me of the cover of What I Saw and How I Lied. It might be the model. Can't wait for your review! I'm curious to know what you'll think! Ohh, the Totally Twilight event sounds great (: I can't wait to watch the movie. The Girl is Murder looks amazing. I hope you enjoy! I haven't heard of The Girl is Murder, but I looked it up and it sounds good. I like the whole detective thing, especially in the 40's. The Warrior's Heir looks interesting! Mine for the week are here. I want the soundtrack for Breaking Dawn. I'm seeing the midnight showing! Thank God for cool moms! Ooooh, Breaking Dawn soundtrack! Perfect thing to get pumped for seeing the movie this week :-) I wish I still worked at the movie theater so I could see it over and over again for free (but otherwise, SO glad I don't work in that awful theater anymore). Great IMM! The Warrior Heir looks really good!